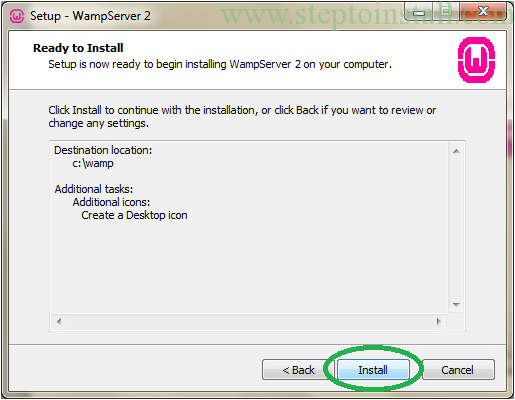 I’ll give you simple steps for ‘Installation of WAMP Server’. 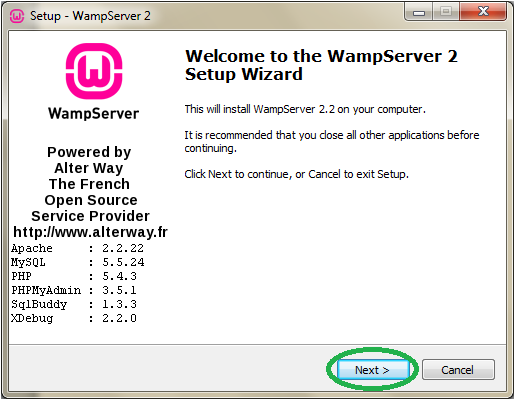 We need to download the WAMP server Package .exe file from official WAMP server page. 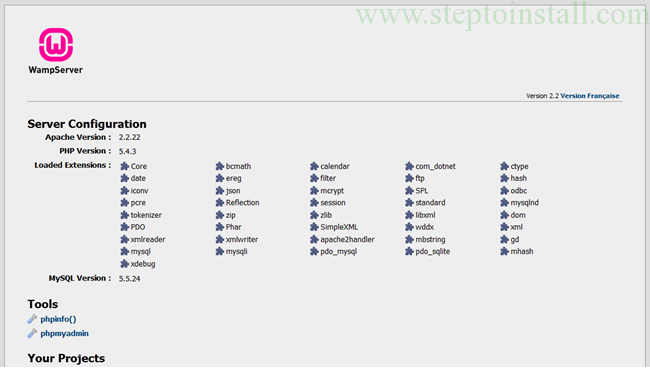 Choose file with Config of your system. You’ll get below Setup Wizard window, When you Run WAMP server .exe file. It shows config of WAMP. Click ‘Next’ button to continue. 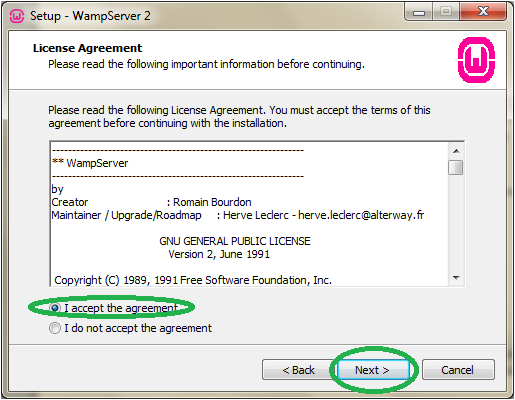 You should agree the license of WampServer before Installation of WAMP Server. Here, You should select the Server Location. Most of the server installing into C drive only. Me too installing into C drive. You can browse any other location and click ‘Next’. And choose which icons you want. In ‘Ready to Install’ window, just click ‘Install’ button. Now wait up-to finish the installing. In following window, just leave Default value and Click ‘Next’. Now Installation Process is almost done. Tic the Launch and Finish it. 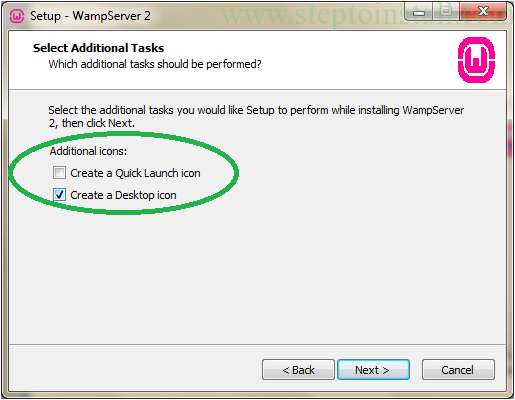 Just double click the Wamp Server icon. You’ll get following small icon in TaskBar. First it’s color is Red and change to Orange. At-last it goes to Green color. 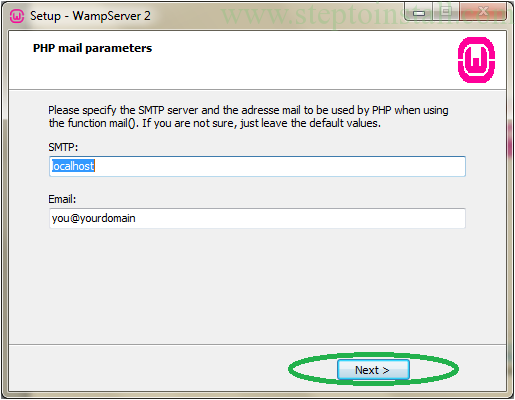 If green color comes, Your WAMP server running successful. 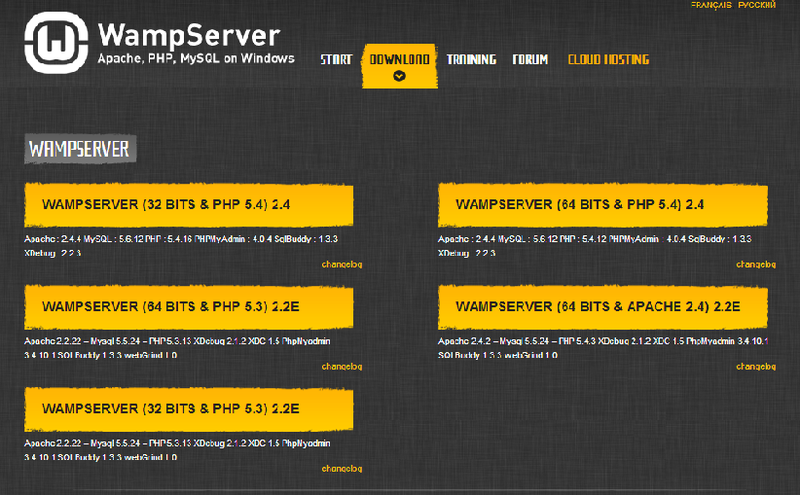 Now see your WAMP server Home Page with following URL ‘http://localhost/’. 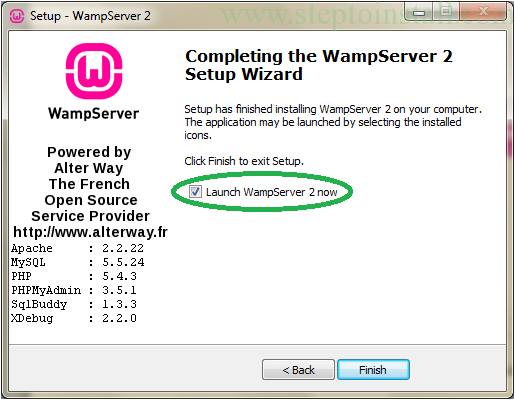 Now Installation of WAMP Server is finished. If you get any problem, ASK me. Previous story How to Install WordPress in Local Server? You’ve provided clear steps and thank you very much for your great help and efforts along the way! This is because you haven’t started wampserver yet. Just click on the windows icon and search in ‘Wampserver ‘ in the search bar. Then click start wampserver and it should work. If this doesn’t work, I suggest you looking in the Web, there are plenty of info to indicate you what to do when you run into these kind of case. You are getting http 404 error due to port issue. You might have installed some services (like: skype, teamviewer, or any torrent clients etc) which also take same port number 80 by default. Either change you port number in wamp configuration file or other services and restart wamp. It will start working. When I open phpmyadmin in wampserver it’s showing me error 403 forbidden, so how can I solve this problem? after launching wamp server the icon becomes orange , server is not starting the working because teh icon does no becomes green,why? You provided very clear steps, thanks. …. I got the steps…..
For 64 bit, i have followed your instruction. But still Wamp server is in orange color. The resource you are looking for does not have a handler associated with it.